A new Lincoln Ale Trail, which aims to encourage people to explore the city’s mix of watering holes, has been unveiled in the city. County residents and visitors with a thirst for discovering great places to enjoy real ales and craft beers can now tap into the newly released city experience. Lincoln Business Improvement Group (BIG) today unveiled the Lincoln Ale Trail, which will enable visitors to the city to enjoy live music, quiz nights and food. The guide, created in partnership with Visit Lincoln, features 30 different venues, from historic inns to contemporary bars in an area stretching from Bailgate to the lower High Street. All businesses included in the guide serve real ales or craft beers and are open from 2pm. Lincoln BIG Chief Executive Matt Corrigan said: “Lincoln has a diverse range of pubs, each with its own identity and unique ambience. 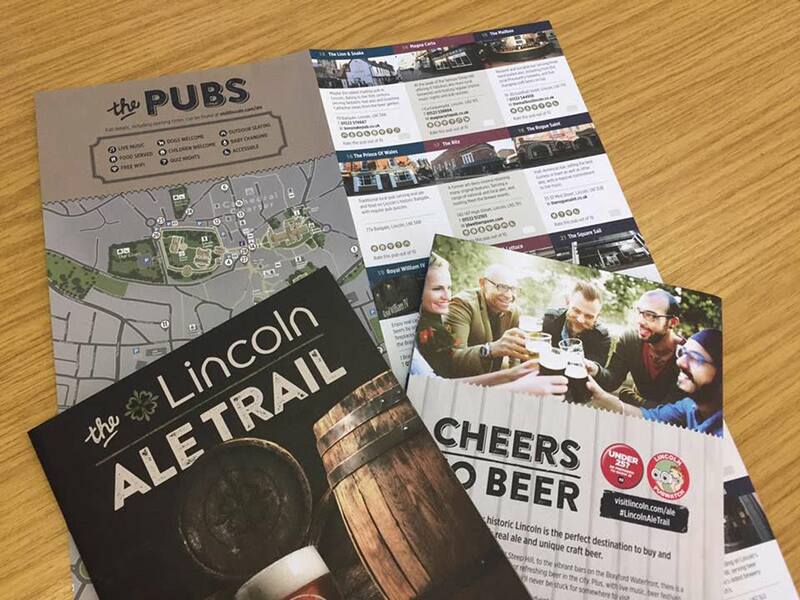 The Lincoln Ale Trail is available from the Lincoln Visitor Information Centre in Bailgate and the listed pubs are also on the Visit Lincoln website..